In case you wondered what the future of Hitman might hold, IO Interactive has released another monthly content roadmap. 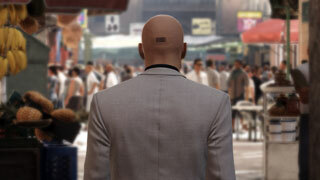 With the news that IO Interactive had gone fully independent and retained control of the Hitman IP, many wondered how the developer would proceed with the game. Would it continue to an episodic release, or would something change? If today's news is any indication, it's going to be business as usual going forward, as IO has laid out the roadmap for the next month's worth of content. The July content schedule was shared in a new post on the game's official site. You can expect to see the final Elusive Target for Season One, a new Escalation Contract in Sapienza, and a large batch of Featured Contracts and an update for the game as well. The new Escalation Contract for Sapienza will have five different stages, what IO calls, "a sticky pistol complication," and "a few other surprises." As for the new Featured Contracts, IO has chosen the best submitted Contracts from users as usual, and July will add 15 of them. Both the Escalation Contract and the new Featured Contracts will be available today. As mentioned above, the final Elusive Target for Season One is coming this month, and it will be found in the Marrakesh Bonus mission, "A House Built On Sand." IO points out that, "As the contract is in Marrakesh, you'll unlock the Summer Suit with Gloves if this is the first ET you complete in Marrakesh. Equally, if you earn your first SA rating for this ET, you'll unlock the Terminus Suit. Check the challenges in-game to see what suits you can still unlock through Elusive Targets, all depending on how many of the previous Elusive Targets you've completed." Finally, IO is also planning to roll out a game update this month, although there are currently no details as to what it might include. The developer promises to have more information closer to release. This is good news for fans of the new Hitman, as it shows that IO plans to keep the content for its episodic game coming.